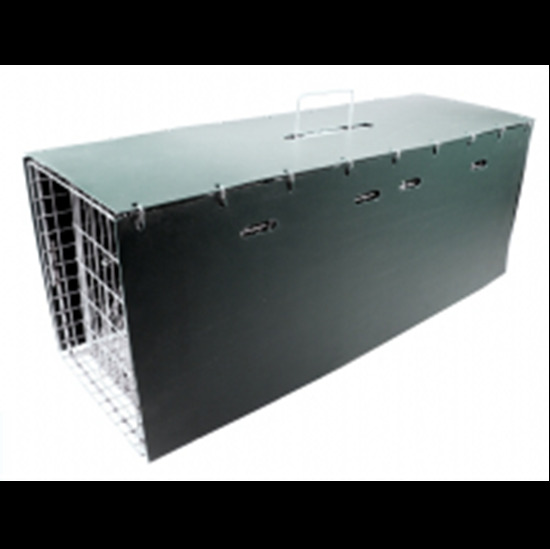 Model 102 is a live cage trap designed for chipmunk, small squirrels, rats, gophers and similar small animals. It weighs 2 pounds and measures 16L x 5W x 5H. This trap is constructed from 1/2" x 1" - 16 gauge galvanized wire mesh. Tomahawk Live Traps are manufactured in the USA, built to last for years, quality inspected and easy to set and use.